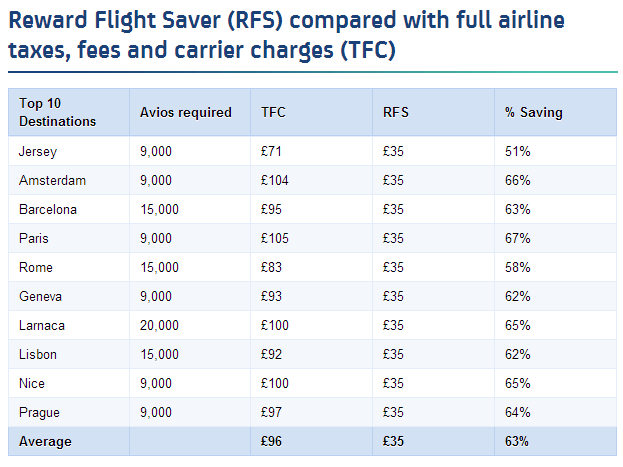 Avios.com has updated their Reward Flight Saver Page, which you can see here (HT: Ghetto IFE). The “co-pay” rises by 5 pounds in economy from ?30 to ?35, and 10 pounds in club europe from ?40 to ?50. They are also scrapping Iberia RFS redemptions. For Moscow redemptions, Reward Flight Saver prices will rise to ?45/€55 return in World Traveller Plus and ?55/€65 return in First. This takes effect starting July 11. The “savings” refers to the YQ charge that would actually be on a paid ticket. Not great news, but at least they’re not scrapping RFS completely. For Canadians, there is an awesome 60,000 points (12,000 Aeroplan/Alaska/AAdvantage Miles) MBNA Best Western Mastercard signup bonus. If you missed it, check out my post on it here.